Without accelerated networking, all networking traffic in and out of the VM must traverse the host and the virtual switch. The virtual switch provides all policy enforcement, such as network security groups, access control lists, isolation, and other network virtualized services to network traffic. To learn more about virtual switches, see Hyper-V network virtualization and virtual switch. With accelerated networking, network traffic arrives at the VM's network interface (NIC), and is then forwarded to the VM. All network policies that the virtual switch applies are now offloaded and applied in hardware. Applying policy in hardware enables the NIC to forward network traffic directly to the VM, bypassing the host and the virtual switch, while maintaining all the policy it applied in the host. For more information on VM instances, see Windows VM sizes. Available in all public Azure regions and Azure Government Cloud. Though this article provides steps to create a virtual machine with accelerated networking using Azure Powershell, you can also create a virtual machine with accelerated networking using the Azure portal. 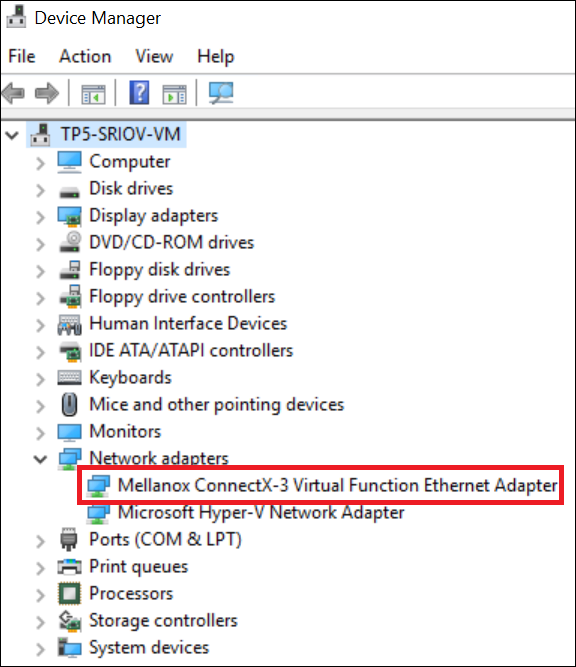 When creating a virtual machine in the portal, in the Create a virtual machine blade, choose the Networking tab. In this tab, there is an option for Accelerated networking. If you have chosen a supported operating system and VM size, this option will automatically populate to "On." If not, it will populate the "Off" option for Accelerated Networking and give the user a reason why it is not be enabled. Install Azure PowerShell version 1.0.0 or later. To find your currently installed version, run Get-Module -ListAvailable Az. If you need to install or upgrade, install the latest version of the Az module from the PowerShell Gallery. In a PowerShell session, log in to an Azure account using Connect-AzAccount. In the following examples, replace example parameter names with your own values. Example parameter names included myResourceGroup, myNic, and myVM. New-AzResourceGroup -Name "myResourceGroup" -Location "centralus"
Create a virtual network with New-AzVirtualNetwork, with the mySubnet subnet. First, create a network security group rule with New-AzNetworkSecurityRuleConfig. Create a network security group with New-AzNetworkSecurityGroup and assign the Allow-RDP-All security rule to it. In addition to the Allow-RDP-All rule, the network security group contains several default rules. One default rule disables all inbound access from the Internet, which is why the Allow-RDP-All rule is assigned to the network security group so that you can remotely connect to the virtual machine, once it's created. Associate the network security group to the mySubnet subnet with Set-AzVirtualNetworkSubnetConfig. The rule in the network security group is effective for all resources deployed in the subnet. Create a public IP address with New-AzPublicIpAddress. A public IP address isn't required if you don't plan to access the virtual machine from the Internet, but to complete the steps in this article, it is required. $vmConfig = New-AzVMConfig -VMName "myVm" -VMSize "Standard_DS4_v2"
For a list of all VM sizes and characteristics, see Windows VM sizes. New-AzVM -VM $vmConfig -ResourceGroupName "myResourceGroup" -Location "centralus"
Once you create the VM in Azure, connect to the VM and confirm that the driver is installed in Windows. From an Internet browser, open the Azure portal and sign in with your Azure account. In the box that contains the text Search resources at the top of the Azure portal, type myVm. When myVm appears in the search results, click it. If Creating is visible under the Connect button, Azure has not yet finished creating the VM. Click Connect in the top left corner of the overview only after you no longer see Creating under the Connect button. Enter the username and password you entered in Create the virtual machine. If you've never connected to a Windows VM in Azure, see Connect to virtual machine.